Vamos Melbourne offers an amazing experience for a Hen’s Night. Join us for a delicious 6 course tapas dinner, followed by a live band and the possibility of dancing afterwards! Located right in Melbourne’s CBD, we’re the perfect place to celebrate this special night. Check out our packages HERE. Or read on to find out how to make a hen’s night special! Are you the lucky one to do the honours of planning hen’s night for your best friend? Well, be prepared for an exciting, yet engaging journey. From finding the best location, to browsing through different themes and accessories, and everything in between, you are in for some serious work. But don’t worry – as long as you know how to go about it, planning the perfect hen’s night Melbourne will be a walk in the park. We are going to take you through some helpful tips as well as some great party ideas to make that day as memorable as the wedding itself. Let’s get to it…shall we? Planning a Perfect Hens Night: Some Expert Tips! While this is mostly left to the maid of honour, planning on whom to invite can be a nightmare especially if you don’t have close ties with the bride’s closest allies. You might want to be sure that you include in your list all her best friends for the hen night. When inviting friends, the tricky thing is, not all friends are the same. Some are naturally inclined to mess up parties while others don’t always get along with everyone else as should be the case. This is not a call for you to dismiss them. How about having two sessions for the hen’s party: a decent one for the likes of aunty, and later on an all-night wild party that includes everyone else? It being her night, you ought to make sure that she drowns herself in laughter and fun. It’s not easy to know what she will probably like or what she might not be down for. This calls for some research. Even though it is supposed to be a secret and a surprise party for her, get her friends to hint you with her likes and dislikes. It’s one night of fun before she moves to another chapter in her life so make it worthwhile for her. Being her bridesmaid means you being there for her. Making sure she has fun, good time and that everyone gets along. If she has a great time, then be sure that she will rate well. Nice hen’s party Melbourne Ideas should include a very friendly budget that makes every dime count. Though for some money does the talking, be sure to make a realistic budget that will still make her happy and feel special. Just be sure to do your research well and plan the budget effectively and you will end up with a great list of to do’ things under a manageable budget. Get your hands full with ideas. Just like visualizing a wedding, visualize the party to get a glimpse of how everything is going to look like. This will effectively help you to know what you will need to do and how everything will appear. Still trying to figure out what will work best for her? Why not come up with a theme first! What are the ladies going to wear for the party? Will it just be an all colour event or will it be a ladies white party? What about the props? All this are questions that will lead to answers eventually. Sounding stressful? Nah! This should be fun. Making a plan will help you walk through the planning process stress-free. And be sure to have fun. Have you considered that ‘to die for location’? Probably one of the most important and first things on your list. Whether it will be a in a pub, resort, at one her best friends place or even in a hotel, keep in mind that the hens venues Melbourne should be arranged for as one of the first things. What follows? If it’s a hotel or a resort, will you need to make reservations? And if so, for how many people? Coming up with a location early in advance is key because there are so many other things to consider. Doing this on the last day however may end up messing up everything. You may find that the location you thought would work best may be fully booked or doesn’t support the activities on your ‘to do’ list. Better yet, might not be an ideal place not only for her but also for everyone else. That’s us! Check out our great function packages HERE. Make a statement with Hunter’s undeniably fascinating cuisines. Her night just got better with the brae’s well-crafted arcane culinary art, just a little over 90 minutes from Melbourne. Serving at Mugaritz as stagier, Hunter started his own restaurant at Birregurra making pronounced dishes inspired by the contiguous countryside. Hunter knows best as to make an ostentatious curtain raiser to the delicacy expedition he’s prepared for you with his native scrub and the ambiguous proteins in waiting. Expect to find nothing short of his stringy squid ink presented along with pork grazing. His Basque passion for naturally inspired things brings to the table oyster ice-cream garnished with sea lettuce powder. If you have tried those ‘Honey-Balsamic Lamb Chops’ from Melbourne, then most definitely his love for dry-aged jumbuck accompanied with dandelion and raw flathead or perhaps, the barbecued lettuce will excite her by any stretch. If the afters are anything to come by, then expect to be sent tramping the yard with a succinct list of champagnes, and delicacies. The sweet Italian biscuit presented with fresh pistachios will leave you worshiping the Hunter’s brae. Expect nothing less, but to be transformed and be taken on a gastronomic expedition. This will be a chance for her, her friends and you to have a moment of your lifetime. Ever gone horse trailing? Does she love experiencing the overwhelming beauty of the setting sun? When the skies are engulfed with prodigious oranges and reds? All this on a horseback with all her friends alongside. Enjoy this picturesque site to see just an hour to Melbourne’s south. The trail along the beach, the bushland and the amazing morning peninsular will be memorable experience for her for sure. Jump off the horses and drown yourselves in selfies and photoshoots. Enjoy the chilled ocean waters on your gentle feet and let your soul wonder as the cool bracing wind beats against your face. Ladies? Can you remember your moves? You remember those high school and college dates when you hit the floor in that favourite club and pulled all the moves you probably could? Getting home late feeling like it was your best night ever? Well this couldn’t be far from that. Get the girls ready to break a leg with a twist of old classic moves. Get the hen’s favourite 80’s hits and prep the ladies for a night of 80s name games, the wiz fizz and photoshoots. ‘Girls just wanna have fun’ right? Dance to the rhythm of Cindy Lauper’s girls favourite 80s hit. Better yet, adorn your hair with glitter hair spray, a pair of fluro legwarmers and gloves and the hen’s personal costume bag at ‘girls just want to have fun’. You can find plenty hen’s night packages Melbourne just that include all these. Why not play some awesome games all night? That’s tight! Games can be fun and exciting to everyone, including the bride herself. 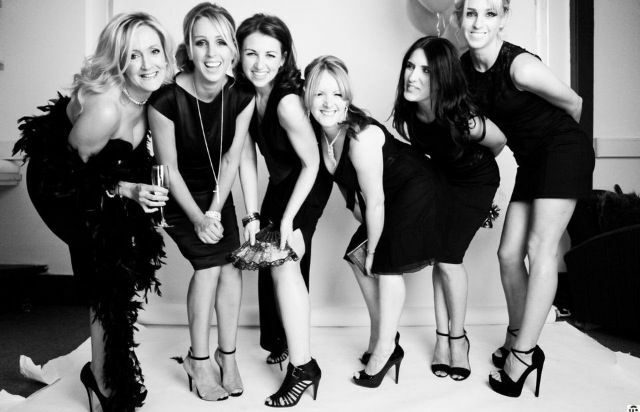 We have lined up for you very hilarious hen party games to take the party to another level. Better yet, you don’t have to crack your mind trying to come up with the same old boring games that everyone else seems to be going for. We want to make you’re your hens party a memorable one. So hop on board and let’s take you on an adventure. Kick off the night with confessions. We are not talking about the usual confessions on the altar; we are talking about the confessions of a hen party. The evening can’t get any better with a bunch of hens with a dubious past and a lot to share with. Precautionary measures though… this is for the non-spoilers. So what you will need. And also be sure that the hens attending the party have a dubious past or some sort of interesting mysteries. So each is supposed to scribble on the piece of paper handed to them something interesting or some secret about themselves that the rest of the hens have no clue about. Once every hen is through scribbling, the pieces of paper are then folded roughly, placed in the small bag and mixed up. Each of the hens then picks up one piece of paper, unfolds it and reads out aloud what is written on the paper they are holding. They are then supposed to guess who wrote the paper. When one makes a right guess, they get a piece of chocolate, but what if they get it wrong? Oh no!! They have to take a pass or take a shot. Interesting. Isn’t it? We bet you will love this one pretty much. It can go on and on depending on how interesting your hens are. The party is not over yet! Just as the name suggests, this one will involve everyone to be as daring as they can ever get. It goes like this. Everyone’s got a smartphone with a camera nowadays but if not then a digital camera will do. So let’s do it hens!! Go ahead and print a list of scavenger hunt items for each team, with a location where to meet up and the duration of time required for each team to finish up the hunt. Be sure to include your number on the least lest the hens get lost into the game. Split the teams and let the game begin. The winning team as would guess is the one with the most number of required items within the least time. Bonus points are given for the team with the best photos. The adjudicating mistress should be texted the photo challenges. Let’s take a peek into some of the items o include. A hunky guys phone number. Some undies…ha-ha this one is hilarious!! “What will you bribe the judge with…”Sort of item. And the list is endless. Be sure to keep the fun going. It doesn’t t matter what you include in the list. Just get creative and put as many items on the list as you can possibly imagine. At this point it’s quite clear that you have all that it takes to turn that party into the best time of her life. It should now be a walk on the park pulling together that plan. This is just but a tiny bit of what you can do. We could go on and on with a million ideas, but the main idea is, make it fun and memorable for her and do something a little extraordinary. And don’t forget to have all the fun you can possibly. She deserves it!